Step #1: If you're a member of Team Manny Viloria, please check if your SWAmazing link is working. If you see the email sign-up form, that means your SWAmazing link works. If you see a "Missing Page" error, please follow the instructions you find on the webpage that you land on. Step #3: Set-up Your Blog. You should put up at least one blog Post, and one blog Page (the "About Me" page). Your "About Me" page will tell others about you, your interests, and how you can help people. At the bottom of those short (2 paragraphs), you can insert a SWA Animation video. 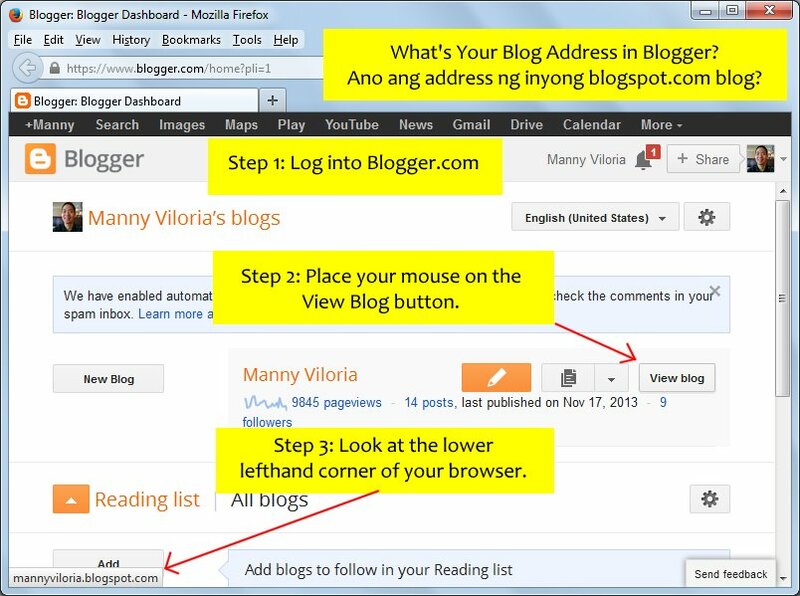 Step #4: Message me in Facebook the http:// address of your Blogspot blog. We'll check your "About Me" page, and if it's working well, you can proceed and focus on publishing useful tips or entertaining stories in your blog Posts area. Step #5: Promote your blog posts in your own Facebook wall. If your blog post is truly useful or entertaining, your FB friends will share your blog post link, and this will help spread the word about YOU. Remember: Build your name first, then your business second. Step #7: Read "The Game of Life" ebook every week. Any 3 pages will do. That's only 5 minutes a week. Then repeat Steps 4 to 7. And that's your 7-Step Guide that shows you what to do after joining SWA Ultimate. Have fun!